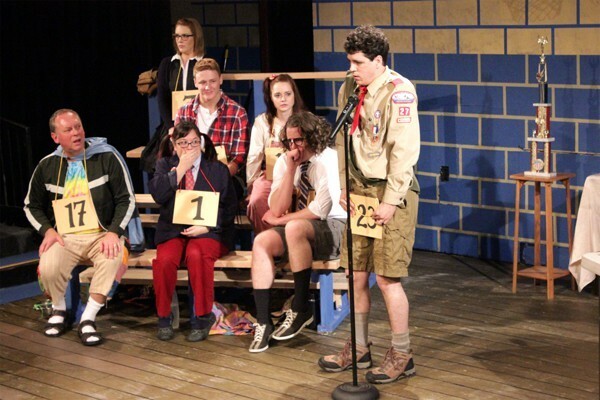 The 25th Annual Putnam County Spelling Bee at 2nd Street Theater. 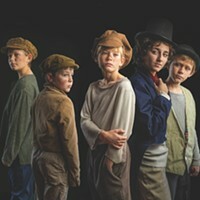 The Bend theatrical scene has gone through quite a resurgence in 2015, with a vast majority of the shows either playing to full houses or close to it. Compared to years' past when CTC and 2nd Street both came close to shutting their doors, and Volcanic Theatre Pub was primarily a music venue, 2015 has seen live theatre come back with a vengeance. A side effect of the renewed interest in theatre has been an influx of not only fresh blood to the stage, but an almost single-minded drive for the veteran actors to craft powerful and memorable new performances. This year, Central Oregon saw some of its best acting ever. Whether it was Stephanie Slade bringing down the house in Evil Dead: The Musical, or Skye Stafford and Will Futterman making an entire theater hold its breath in Venus in Fur, or Tara Johnson creating a Sally Brown for the ages in You're A Good Man, Charlie Brown, this was one of the best theatrical seasons in memory. Here is a look back from a few other local theatrical folk at the best work they saw on stage over the past year. "Asking a director to state, publicly, their favorite performance by an actor in 2015 is akin to suggesting that they gleefully shoot themselves in the foot. Instead, I'm going to say that, for me, the most surprising performance this year was given by Robert Marquez as Michal in CTC's The Pillowman. His honest and vulnerable portrayal of a broken man with a child's mind and an unquestioning loyalty to his brother, who commits monstrous murders in all innocence, was astonishing. I had never seen Robert onstage before; his theatrical absence is our loss." "The community theater scene has exploded here in Bend. So many wonderful productions and so many great performances, but my vote for the most outstanding performance of the season goes to Lilli Ann Linford-Foreman for her portrayal of Amanda Wingfield in Greenwood Playhouses's production of The Glass Menagerie. Lilli Ann brought truth and honesty to the role and understands the difference between 'presentation' and 'representation.' A beautiful, honest performance both verbally and physically." 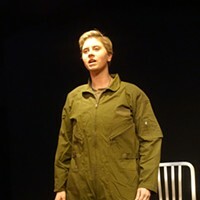 "When Randy Heise portrayed Charlotte von Mahlsdorf in Doug Wright's I Am My Own Wife, in a scene directed by Juliah Rae for 2nd Street Theatre's sneak peek, he not only delivered an outstanding performance, he demonstrated undeniably that amateur theatre can be just as good, surpass even, the grand spectacle of Broadway." "Out of all the plays I've enjoyed this year my favorite performance by far had to have been by Ryan Klontz as Ash in Evil Dead: The Musical. With an impeccable voice and Bruce Campbell-worthy smirks, Klontz without a doubt made 2nd Street Theater proud." "Two that stand out are Skye Stafford in Venus in Fur and Tommy Kuchulis as William Barfee in Putnam County Spelling Bee. Both very different performers, but both wholeheartedly immersed themselves in their characters. They were believable and there wasn't a single moment I thought I was watching Skye or Tommy doing a role, if you know what I mean. They were the people they were portraying. There was no 'acting.'" "Ryan Klontz was the standout performer. 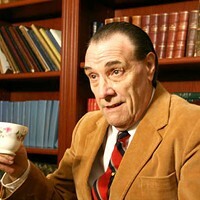 He has great comedic timing as well as an amazing set of pipes. His role as Mitch Mahoney (Putnam County Spelling Bee) and Ash Williams (Evil Dead: The Musical) both required being able to think on his feet and keep everything okay, all the while staying perfectly in character." "The best performance that I saw last year was Robert Marquez as Michel in The Pillowman. What a difficult role that Robert imbued with such poignant humanity that it unleashed a torrent of emotions in me: empathy, love, pity, revulsion. I never wanted to see The Pillowman in the first place and now I would like to see it again to experience Robert's performance once more."